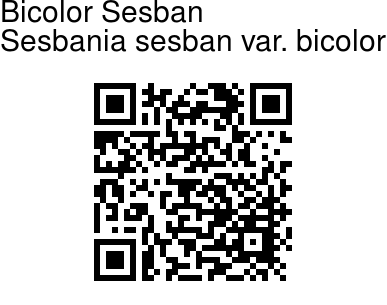 Bicolor Sesban is a small, often multi-stemmed tree, growing to 4-8 m high. Its leaves are pinnately compound, 2-18 cm long with 6-27 pairs of linear oblong leaflets (26 x 5 mm). The raceme has 2-20 pea-shaped flowers. Calyx and standard are purplish black, wings and keel partly purplish black or red; corolla standard callus blunt at tip. Pods are nearly cylindrical, straight or slightly curved up to 30 cm long and 5 mm wide containing 10-50 seeds. 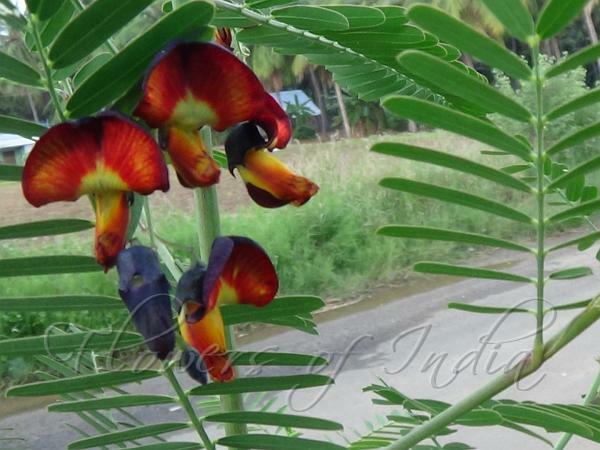 Bicolor Sesban is native to India.